This package contains a large assortment of Decorative Brads. You'll find Epoxy Brads with Gem Stones, Pearl Finishes & Icon Images that are part of the collection. Look for coordinating Chipboard Elements and Designer Papers. 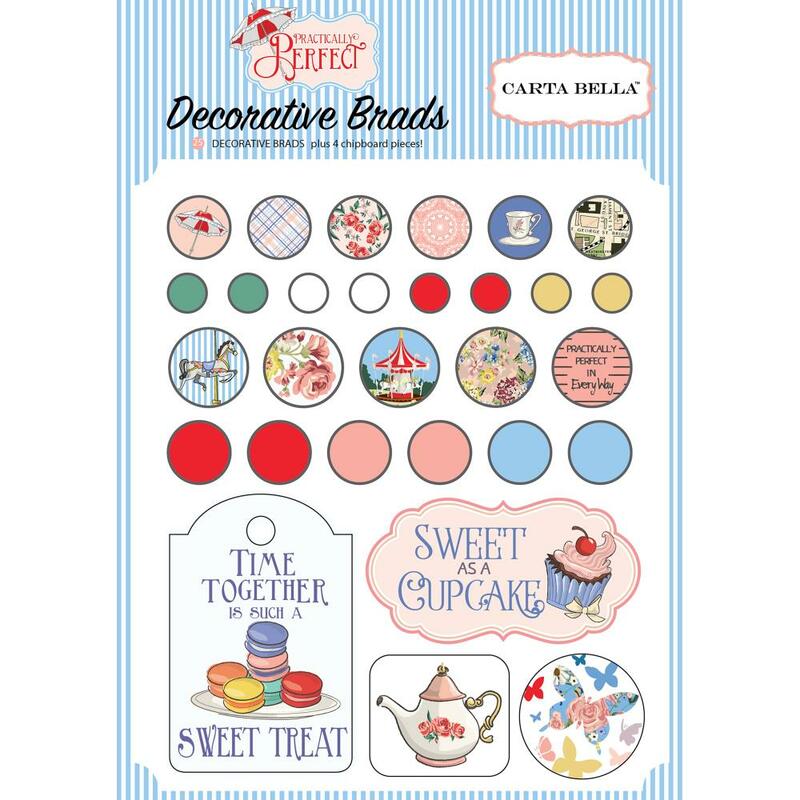 Part of the Practically Perfect Collection by Carta Bella Paper Company.